New York, NY; February 9, 2016 - The Union for Reform Judaism (URJ) is launching a new high-level fellowship to strengthen its engagement with millennials. 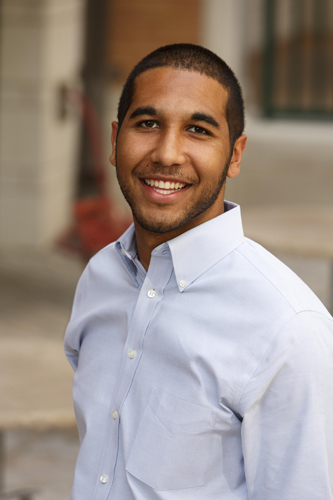 The first Fellow will be Evan Traylor, 21, of Edmond, Oklahoma. Traylor, who will graduate from the University of Kansas in May, will work alongside URJ President Rabbi Rick Jacobs and leaders of the Reform Movement to develop a toolkit for engaging millennials as partners in creating a more just, whole, and compassionate world. The 12-month Fellowship, which will be based at the URJ’s headquarters in New York and will include regular travel across North America, will involve working in each of the URJ’s strategic priorities of Strengthening Congregations, Audacious Hospitality, Tikkun Olam (social justice) and Youth to explore new frameworks for engaging millennials. Traylor brings exceptional academic and experiential leadership to this position including serving as a former president of NFTY – The Reform Jewish Youth Movement, a student member of Hillel International’s Board of Directors, an intern for University of Kansas Hillel, and a trustee on the URJ’s North American Board. Traylor is an alumnus of many URJ youth programs including the Greene Family Camp, NFTY in Israel, and Kutz Camp. He is a member of Temple B’nai Israel in Oklahoma City and will graduate from the University of Kansas in May with a degree in Political Science, Jewish Studies, and Leadership Studies. Traylor will begin work on June 1, and will be at URJ’s Kutz Camp in Warwick, NY for the summer working with teen leaders from across North America. In the fall, Traylor will join the URJ Youth Alumni Engagement team, focusing his work on strengthening relationships and systems for engaging with Reform students on campus, and developing frameworks for engaging college graduates as they move to new communities and begin careers. The Union for Reform Judaism (URJ) builds community at every level—from the way we collaborate with congregations, organizations, and individuals to how we make connections across North America to advance contemporary and inclusive Jewish life. Providing vision and voice to transform the way people connect to Judaism, we help congregations stay adept and agile, motivate more young Jews to embrace Jewish living, agitate for a more progressive society, and foster meaningful connections to Israel. Founded in 1873, URJ has grown into the most powerful force in North American Jewish life, with almost 900 member congregations and work that inspires millions of people. Our legacy, reach, leadership, and vision mean that we can unite thousands of years of tradition with a modern, evolving Judaism to strengthen Jewish communities today and for future generations.